I am not a fan of wearable technology, it did not appeal to me when the whole hype train began rolling and it did not appeal to me when the first devices launched, until today. If any company could make wearable tech worthy of my attention than it would have to be Google and the Cupertino based company has yet again garnered my attention. Early morning today, Google announced its iteration of wearable tech, Android Wear. Yes, the name does not sound that cool but trust me on this one, Google just pulled out an ace from under its sleeves. Now Google itself is not producing any hardware, it is just producing the software and letting partnered companies like LG, Samsung and Motorola create their own devices, similar to how its Android os works. The smartwatch market already has some competitors such as the crowdfunded Pebble and Samsung’s Gear line but even upon first impression, Google’s smartwatch os puts the other alternatives to utter shame. Google has once again shown that when it comes to mobile software, it is the king. The software itself works around the integration of Google Now, one its the most useful assets. Whatever we saw in the released videos displayed a clean, minimalistic os based contextually. It allows users to swiftly and easily view and respond to notifications as well as interact with Google Now to get updates. 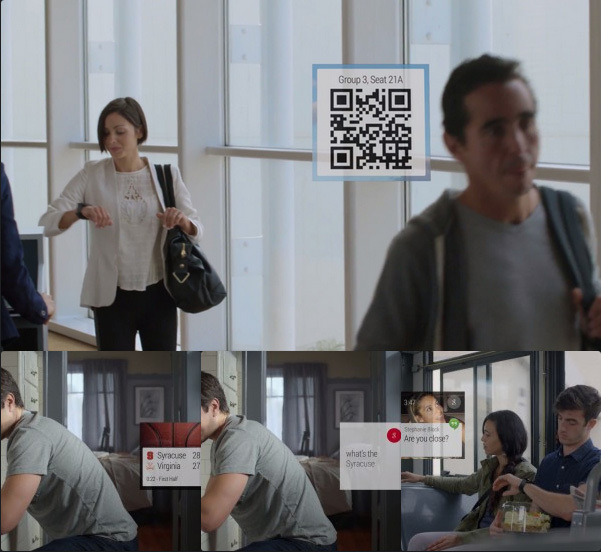 The video released by Google demonstrates these in real life scenarios and frankly seems handy and pretty cool too. Unlike the first entries into the smartwatch genre, Android Wear seems to be a very practical option, providing buyers with an actually useful piece of tech with no gimmicks. Google’s approach to the smartwatch takes us back to the purpose of a watch, to display time in a quick and fashionable way. Google however took that idea to the next step and evolved it to display your notifications in a similar manner. It is practical, it is useful, it is easy and may be most importantly, it is stylish. Google has redesigned the watch in a way that allows it to be more than just a companion device, it distinguishes its purpose from that of your smartphone and hence allows both to function in harmony. Google has only shown us a small teaser of what it has in its arsenal, in the upcoming months more details will surely surface. As of now all we know is that Google is planning to take the wearable market by storm. Motorola has already shown us what it has done with Google’s OS in the form of the Moto 360. The Moto 360 takes a nostalgic path in order to introduce the smartwatch in the form factor of the classic round faced wristwatch. The device no doubt looks beautiful. It capitalises on the idea that the smartwatch is the new wristwatch and highlights this by using metal and leather in its design, thus bringing it to the premium level of wristwatches and separating itself from the other “neat toys” competing for wearable supremacy. Motorola’s take on the smartwatch is definitely on the premium end of the spectrum with its metal and leather finish. For those wanting to go for something within the lower price range, LG has the LG-G. LG’s device is more rectangular shaped and has a plastic finish to it, though it is speculated that it shall not sport the same internals as the more expensive Moto 360. Having said that, pricing has not yet been revealed but both devices have been distinguished by their manufacturers by high and low price points.Although it is too early to comment on its full range of features, Android Wear has shown that it is mainly a means of quickly interacting with our internet connected world. There was no mention of fitness tracking found in some of today’s smart watches, just a small glance of what might be a pedometer was seen in the release video. Nevertheless, it is too early to determine the fine details of these upcoming products. Let us keep our fingers crossed that these devices launch soon and at an affordable price range. We will keep you updated on what is to come. 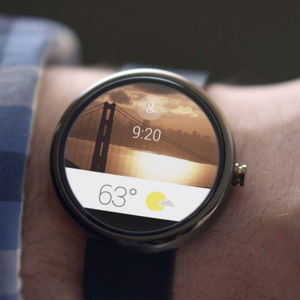 Google announced its iteration of wearable tech, Android Wear. Yes, the name does not sound that cool but trust me on this one, Google just pulled out an ace from under its sleeves.